What is in Real Salt? Most of the salt you buy today is demineralized and chemically processed. Check the label and you may find things added to your salt like anti-caking agents and sugar. Yuck! Real Salt is just salt as it was meant to be. Nothing has been added or taken away. It’s the real deal. Why is this important? Because those minerals are good for us! Real Salt contains 60+ trace minerals that you can see! Real Salt is pretty! My husband said it kind of looks like sand with its speckled appearance. How Important is Salt for My Health? Salt is an essential ingredient in our body. It is one of the top primary elements for survival of the human body. But not just any salt is good for us. That’s why it’s so important you know you are getting good, unprocessed salt that comes from an unpolluted source. Real Salt is mined from an ancient dead sea buried beneath the earth shielded from today’s modern pollution. Refined salt is stripped of the minerals your body needs and lowers your body’s pH levels. Unrefined, Real Salt won’t do that. Because I can’t say it any better myself, check out this article on salt and it’s effect on the human body. Also, you can read these quotes from health professionals on why unrefined salt is good for the body and refined salt is bad for it. Real Salt is flavorful! I would say regular refined table salt is like eating something that has been dulled, like a black and white picture. Comparatively, Real Salt is bursting with flavor, like a vibrant, colorful painting of taste. It will brighten up your foods with it’s unique flavor and you can feel good sprinkling it on anything you would sprinkle salt on normally. We were able to try Real Salt, Real Salt Organic Garlic Salt , Real Salt Organic Onion Salt and Real Salt Organic Season Salt . All three were wonderful, and I can wholeheartedly recommend! We liberally use seasonings in our cooking and love garlic salt and onion salt. I especially enjoyed the garlic salt to make garlic toast. We use onion salt and many things and the season salt is my new favorite! It is really flavorful and contains Real Salt, organic onion, organic corriander, organic mustard, organic black pepper, organic paprika, organic celery seed, organic tumeric, & organic parsley. We found ourselves sprinkling it on many things to boost the flavor of a dish. It was particularly good on some corn on the cob Josh grilled. Would you like to try Real Salt yourself and experience the difference? Enter via the Rafflecopter entry form below to get your own! 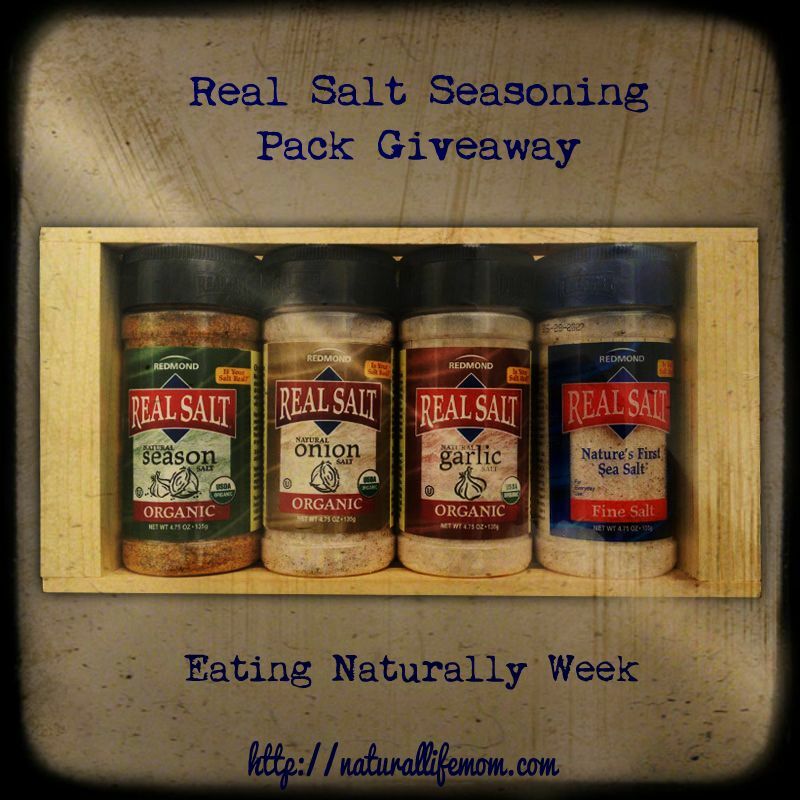 Two winners will receive a Real Salt Organic Seasoning Gift Box ! Disclosure: I received no compensation for this post but did receive complimentary products from Redmond Trading Company for the purpose of this review. I was not required to give a positive review and all opinions are 100% my own. I only review products that I either have purchased myself and love or products I have been given a chance to review by the company that I believe are products my readers would benefit from. Amazon links are affiliate links. 22 Responses to "Is Your Salt Real?" I learned that it is cheaper than the Himalayan Pink Salt that I’ve been buying, I’ll have to give it a try. It has 60 trace minerals. Cool. I learned that real salt contains many more trace minerals and does not have the negative effects on blood pressure like denatured salt and sugar. I learned that SUGAR can raise your blood pressure more than salt! Who knew?! I learned that Not all Salt is created equal. Oh my goodness! This looks amazing. I learned that it is fairly local to me! I learned that I can purchase it at Whole Foods. Really like Real Salt products & Redmond Clay products, too! There are so many great trace minerals in real salt! RealSalt doesn’t have all the natural minerals stripped from it. I learned that its mined in the good ol” USA in Utah!!! The iodine in Real Salt doesn’t provide the full RDA…but there are much better sources of iodine in other real foods like eggs, milk, and strawberries! I love finding out new ways to better care for my body. 🙂 Real Salt is fantastic. 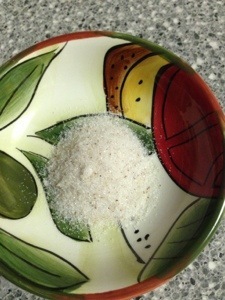 I learned that real salt has more than 60 trace minerals. I love that it’s from the US! Some many people are confused whether to be taking more salt or to reduce salt intake in the diet. there’s one problem in the society, people always like to follow the trend without truly understanding the reasons behind some dispositions as regards human health. Salt is good for our body but not all salts are good. the refined salts are now common in various homes because of the hype by promoters that, it’s an iodized salt which they list so many benefits of taking processed salts but this kind of salt is toxic to our body and not as beneficial as the organic, unrefined salts having several nutrients that are good for our health in which might’ve lost during the processing of the refined salt.